I spend a lot of time on Facebook and I have to say… these last few months have been brutal, socially speaking… I see political arguments pop up daily on my newsfeed, usually fueled by Trump Memes and Hillary Jokes… I see policy change outrage and support that evokes passionate and sometimes pretty dang mean commentary back and forth between “friends”… I can’t seem to escape it. And don’t get me wrong, I want to know what is happening with our country and I want to be aware of social issues… but sometimes, I also just want there to be a place I can go to connect with my friends and family without needing to down a glass of wine to do so. No matter which side of the debate you’re on, or if you’re one of those who stopped caring already, I’m guessing you can probably relate to this political fatigue on Facebook. Well, I think we maybe have found a social superhero to rescue you from your newsfeed woes. Social Fixer is an app that lets you filter out what you don’t want to see on your Facebook newsfeed… So even if you really like to see politics but maybe you’re tired of seeing posts about all of your friends who are love because it’s almost Valentine’s day and you’re single (not that I would know anything about that… ), you can do that, too. The app has actually been out for a few years but grew in popularity this year because of the election. I’d love to say that this app is a super simple one to use, but you do have to have a little bit of development knowledge to get through a complex filter. Thankfully, the Facebook political newsfeed filter is pre-programmed and not as difficult to use. Other pre-programmed filters you can utilize include Pokemon Go, Farmville, and a fake news filter which will actually filter those out with a click of a button. Once you download the Social Fixer for Facebook browser plugin, you pick which features you want to use. The plugin showcases the following features on their site, but has many other options as well. Hide Sponsored Posts, Politics, Spoilers, etc. 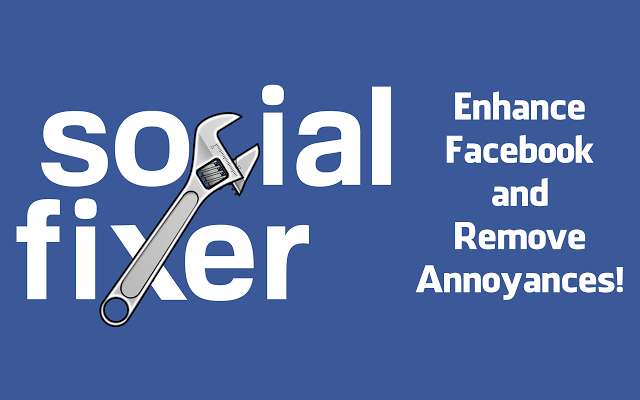 Social Fixer isn’t the only tool that will perform newsfeed filters, you can try the Greasemonkey and FBpurity apps too. Have you tried Social Fixer, Greasemonkey, or FBpurity? What are your thoughts?